Between them John and James Lee have recorded over 30 acoustic rock music albums. Then they came together and created a genuine masterpiece. 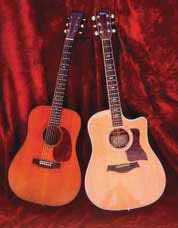 The All Wood and Stones series reintroduces the musical genius of James Lee Stanley and John Batdorf to the world. It is the joyous fruit of their considerable labor. We hope that you love it as much as we do. John Batdorf started as a recording artist in the 1970s with the duo Batdorf and Rodney. Batdorf and Rodney may be the only band ever signed by Ahmet Ertegun to Atlantic Records, AND by David Geffen to Asylum Records , AND by Clive Davis to Arista Records, all resulting in major label releases! They toured for five years with groups like America, Bread, The Youngbloods, Loggins and Messina, Three Dog Night, Dan Fogelberg, Chicago, and Seals & Crofts. John then formed the band Silver, best known for their 1976 hit "Wham Bam." Again John got to tour with bands like Fleetwood Mac, Linda Ronstadt, Jackson Browne, Pure Prarie League and The Doobie Brothers. 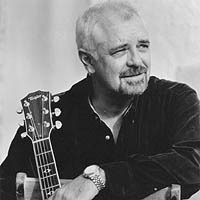 John spent the 1980s as a staff songwriter writing songs for America, England Dan, The Curry sisters and Kim Carnes, and as studio singer singing on hundreds of jingles, movies, and TV shows. He sang on four main titles including, "Doctor, Doctor," "Tom and Jerry Kids," "Garfield and Friends" and "Promised Land." He also sang background vocals on some great recordings by Rod Stewart, Motley Crue, Dave Mason, Eric Anderson,The Jefferson Starship, Berlin, Donna Summer, Dwight Yoakum, Boy Meets Girl, Mickey Thomas, Stan Ridgeway, James Lee Stanley, David Lee Roth, The London Choir Boys, to name just a few. In the 1990s, John started producing records and commercials. During that time he met and went on to write some great songs Michael McLean. He and Michael have recorded four CDs together. In 1996 John got his first chance to score a CBS TV prime time show, "Promised Land". He composed all the music underscore for three years until the show came to an end. He then went on to compose music for another CBS drama, "Touched By An Angel" which had nine very successful seasons. Soon after, John composed the entire musical score for a two hour made for PAX TV movie called "Book of Days," which appeared January and March of 2003. "The Best Two Years," which John also scored and wrote songs with Michael and Scott McLean, had a successful theatrical run in 2004 and is now available on DVD as well as the soundtrack on CD. Now entering into the new millennium, John recorded the first All Wood And Stones CD with James Lee Stanley, along with his first solo EP, Side One. His first full length solo CD, Home Again came out in 2006. John's 2008 CD, Still Burnin' teams him up again with Mark Rodney. The duo recorded a live show at XM Studios in Washington D.C. revisiting many of their great songs from the 70s. John and Mark also recorded two brand new songs in LA that are also included in the package. This marked the first new Batdorf and Rodney recordings since 1975! In June 2009, John released his third solo CD, Old Man Dreamin', which got rave reviews and extensive radio play and truly established John as a solo artist. Then in May of 2011, Batdorf and Rodney were elected into the Las Vegas Rock and Roll Hall Of Fame. In the fall of 2011, John released arguably his finest solo CD, One Last Wish, and toured for a couple of years in support of that release. John is particularly excited about the second installment of the All Wood And Stones series, released in spring 2013. When you hear John sing songs about things that really matter to him, you'll understand why they mean so much to his fans that have spanned over four decades. James Lee Stanley was born in Philadelphia, Pennsylvania of Italian, German, Cherokee Indian, Scotch/Irish and English heritage. Stanley's uncle taught him to play the ukulele at an early age, and at sixteen he got his first recording contract and in 1970 did his first Los Angeles recording session through his friend Cass Elliot of The Mamas & the Papas. Stanley and Elliott remained friends until her death. Stanley spent time in the United States Air Force during the late 1960s as a Chinese linguist and 1969-1972 studied music at Los Angeles City College and Cal State-Northridge. Upon graduation, Stanley began working as a songwriter for producer Bones Howe, a relationship which led Stanley to a recording contract with Wooden Nickel Records, a Chicago label distributed by RCA. His first self-titled album on Wooden Nickel was released January 23, 1973 and one month later he had his first booking as a recording artist, opening for Les Paul at McCabe's Guitar Shop in Santa Monica. His third album, Three's The Charm (1974), was highlighted by Billboard Magazine alongside Queen's Night at the Opera and Loggins and Messina's Sittin In. In 1980, Stanley recorded Midnight Radio for Regency Records and in 1982 a compilation album of Stanley's earlier recordings titled Eclipse was released by Jollye Roger. Stanley then recorded his 6th album, Racing the Moon (1984), for Takoma Records. During this time, Stanley toured regularly, performing up to three hundred dates each year. He has performed with such diverse acts as Steven Wright, Bonnie Raitt, Robin Williams, Nicolette Larson and Bill Cosby. 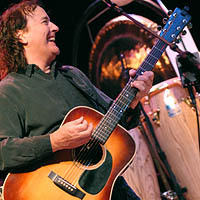 Steven Wright chose James Lee as his opening act for three years in a row; a testament to his professionalism and talent. In 1985, James Lee Stanley founded Beachwood Recordings, a boutique label that has released albums by such talented artists as Laurence Juber, Rick Ruskin, Peter Tork, Danny O'Keefe, Michael Smith and Pamala Stanley. It was his vision to present intelligent melodic acoustic music at a time when Disco was Queen. All of James Lee's recordings since 1986's Live have been released on Beachwood. It could well be argued that it was with the leap to Beachwood that James Lee's songwriting and recording talents -- not to mention his live performances -- really hit stride. He has since released 20 additional CDs, showcasing the talents that once caused author Tom Robbins to write, "So where have they been hiding James Lee Stanley? We could say that James Lee Stanley is probably the last great undiscovered singer-songwriter in America. But true as that may be let's say something else; let's say that a diamond has been smuggled into the wasteland and here is where the wasteland ends." James Lee's remarkable ability as a vocalist and composer allow him to create truly great songs, each accompanied by his amazing guitar orchestrations. From amphitheatres to the most intimate house concert, James Lee Stanley delivers the goods. He has been hailed as one of the few all time greats and undisputed geniuses among singer-songwriters. Fi Magazine listed his Freelance Human Being CD as one of the finest recordings of 1998 and one of the Top 200 Recordings of all time. (FI Magazine, March 1999). Fi Magazine went on to say, "This man is a great artist - his songs are finely-crafted and richly textured, with immediately memorable melodies and thought provoking lyrics, and his guitar playing is simply gorgeous, alternating between subtle finger picking. Lush chording, stark simplicity, rhythmically-charged complexity, and many and varied shades in between." When you couple this with his outrageously hilarious repartee, you get one of the most entertaining concerts on the circuit.